One of our most popular food packaging supplies, our vacuum sealing bags are designed to extend the shelf life of your dry and wet goods. In combination with a suitable domestic vacuum sealer (or commercial vacuum sealer), the oxygen will be removed from inside the bag, which extends the shelf life of your products or food items. 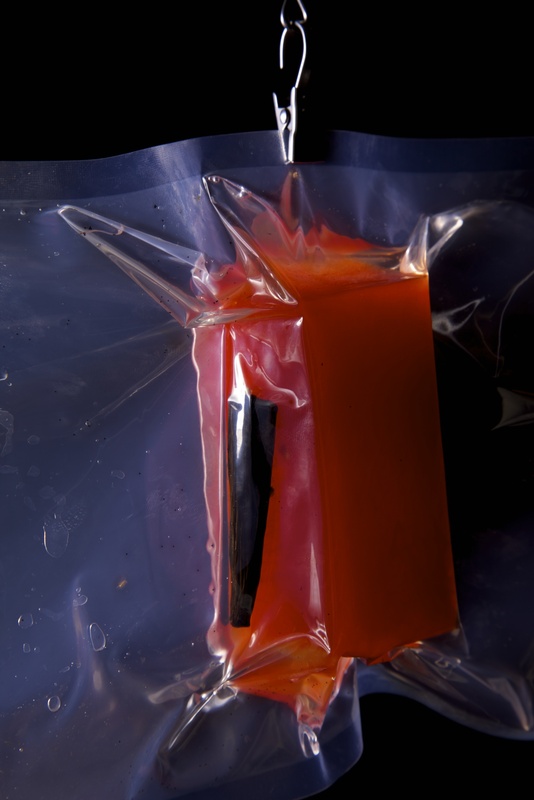 These are our standard sous vide cooking vacuum bags, suitable for chamber vacuum machines, such as the Polyscience 300 series or Henkelman vacuum sealers. Please ensure that your sealing bar is wider than the first measurement to ensure suitability. These heavier gauge sous vide cooking vacuum bags, suitable for chamber vacuum machines. They are used for sharp products and products containing bone. 100UM and 120UM bags available. After vacuum sealing these sous vide vacuum bags the are plunged into boiling water for a few seconds to shrink the bag around the food. These bags are suitable for chamber vacuum machines and can be used for sous vide cooking, product shaping and presentation. To place an order online Click here or call Dale Prentice 0428 623 295. Pouches can be purchased in lots of 100. All orders are plus freight or postage where applicable.